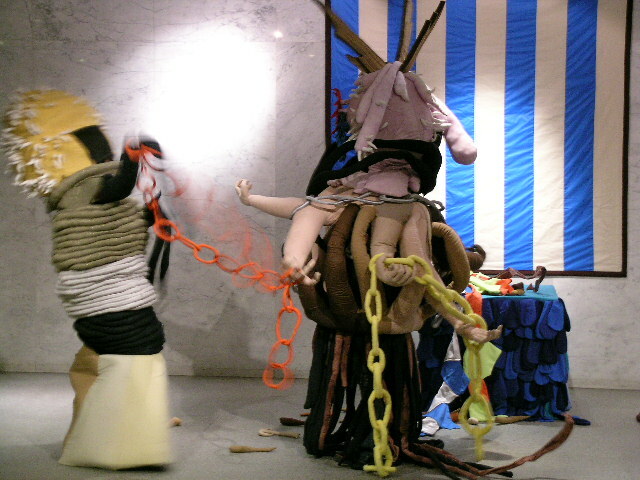 This exhibition involves costumes spanning the last six years of Callyann Casteel's work in performance and soft sculpture. From the earliest gang of oblivious, fanciful hamburgers to the most resent daunting towers of pattern, horns, limbs, chains and blood. All of theses characters posses a whimsical and often dark quality, causing there performance to be funny, mildly gory, and at times just plain beautiful. Some of them use endurance and naivety, some concentrate on frustration, and others emit a sense of intimidating malevolence. 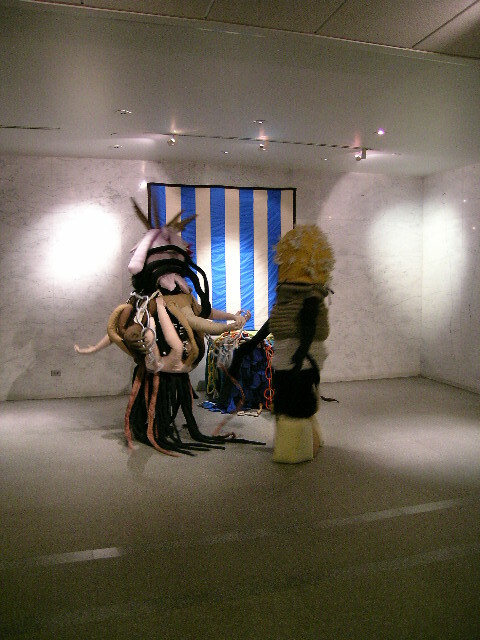 Interacting with each other, this group of costumes intends to estrange the lobby of 125 Maiden Lane, in a performance Callyann Casteel is calling "Burger Gore and the Backwater Nasties". 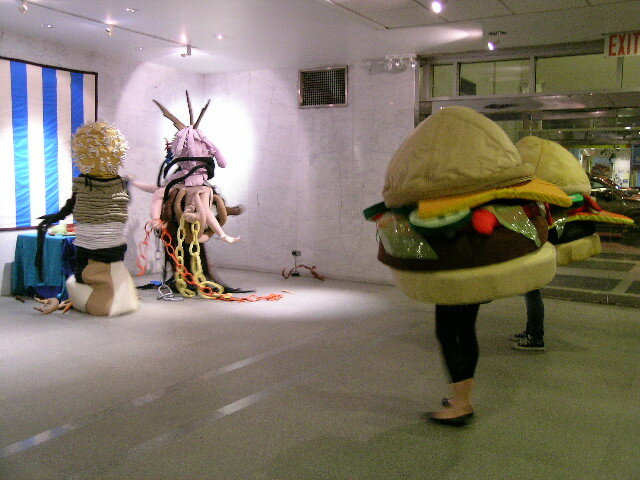 Burger Gore and the Blackwater Nasties is curated by Elisabeth Akkerman and is sponsored by the Time Equities Inc. (TEI) Art-in-Buildings Program. TEI is committed to enriching the experience of our properties through the Art-in-Buildings Program, an innovative approach that brings contemporary art by emerging and mid-career artists to non-traditional exhibition spaces in the interest of promoting artists, expanding the audience for art, and creating a more interesting environment for our building occupants, residents, and their guests.